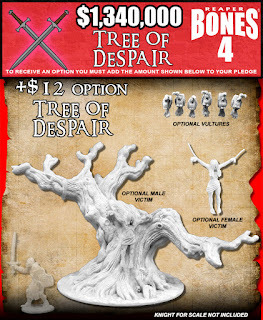 So we are in the last 4 days of Reaper's latest Bones kickstarter! 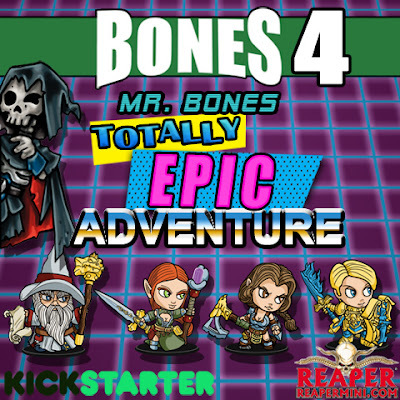 From my experience in their past kickstarters I expect things to start really picking up & going crazy in the last 48 - 60 hours. I find it very interesting to track what is happening using Kicktraq. I am really looking forward to seeing the data of last days. I have already hit the limit my husband & I talked about and I am constantly being tempted to add more. 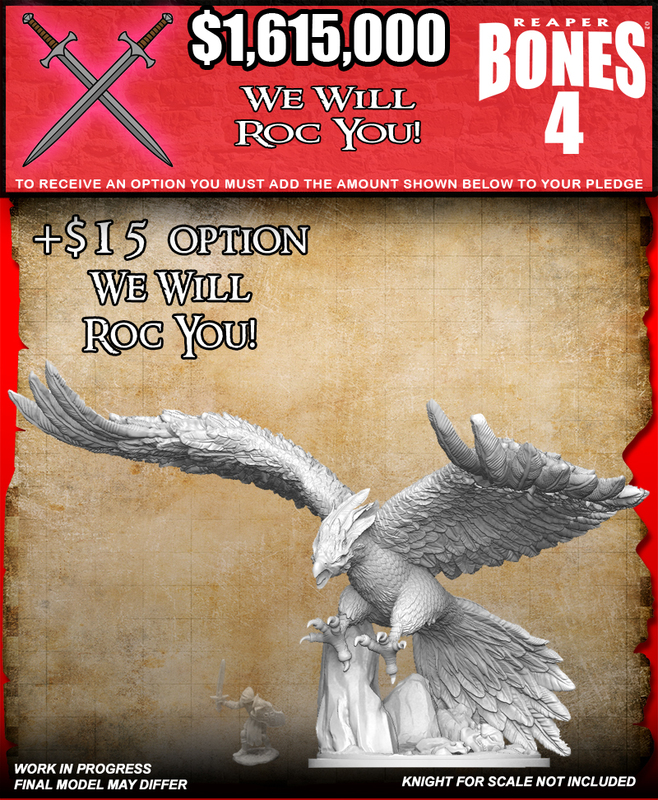 I am aware that the pledge manager will be open until July 2018, allowing us to add even more goodies to whatever we have pledged for & I do plan to make use of that. However I want to support Reaper unlocking as many goals as possible. 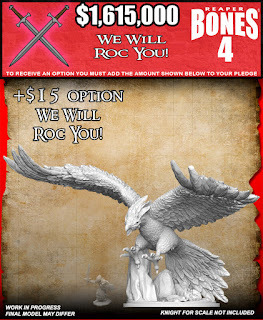 I am planning on getting 2 of that Roc & painting one up as a Pheonix. It is such a stunning model! 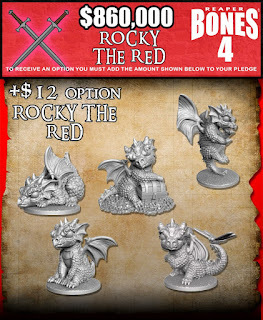 I had hoped that I would spend much of the kickstarter painting again however real life got in the way and I had more important things to spend my limited energy on. However, that is done now & I plan to start painting today! Anyway, this is just a quick update to remind people about the kickstarter & let you know that time is running out to get into the fun! Hopefully I will have a post for you soon with actual painted minis!